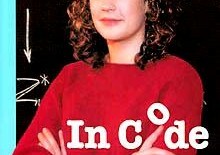 Sarah Flannery hit the headlines when she won the 1999 Irish Young Scientist of the Year award with her innovative encryption algorithm. This is the partly the story of her remarkable achievement, but in addition there is plenty of cryptography background and some very clear mathematical explanations – ideal for readers with A level maths. 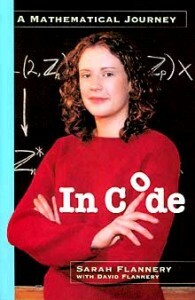 Sarah’s father sparked her interest in maths by setting her puzzles. The book includes many of their favourite puzzles, which are inevitably fun and fascinating.